When you work in this industry, you’re confronted with $$$ pieces at every turn, whether that’s on the runway, out on the streets during fashion week, all over your Instagram feed, on your co-workers, on your computer as you research market for your latest roundup… Well, I can assure you that as tempting as it can be to try to keep up, unless you want to face down some serious credit card debt (or have some serious wealth at your disposal), you’re going to have to pick and choose pieces to invest in. I’m not here to tell you that the only pieces worth investing in are boring minimalistic basics, though. That’s not really my style. When I look for pieces worth scrimping and saving for, I look for things that really spark joy, well-made pieces I haven’t already seen plastered all over the place. I also keep cost per wear in mind because I love doing mental gymnastics that help me justify making a wildly extravagant purchase. Keep reading to see 25 investment pieces I’ve deemed actually worth the money. As someone who’s a bit too hard on her shoes, I might admit to regretting many of my more-extravagant shoe purchases. The ones I never regret, though? Sturdy, well-made boots in seriously hard-wearing leather. If there’s one material I have a special weakness for, it’s patent black leather. The Victorian trend is one of my favorites of fall, and I love Cuban heels, a subtle nod to the equally on-trend Western sensibility. Speaking of the Western trend, it’s also present in this street style–beloved (read: not for the faint of heart) Off-White pair. Shiny silver boots might not seem like a wise investment, but what can I say? I like to walk on the wild side. Besides, I see metallics as something of a neutral. 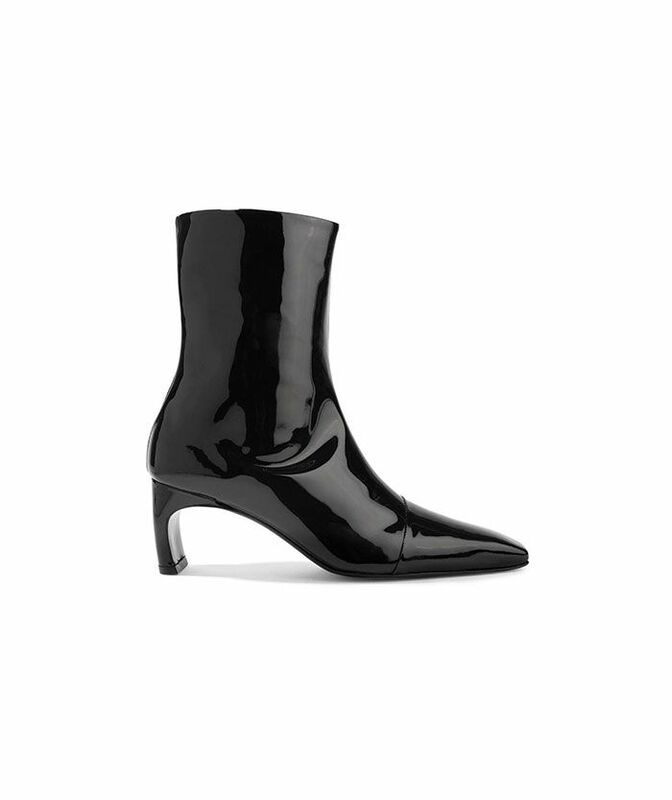 I’m already thinking about how good these will look paired with some of the season’s best midi dresses. I’ve spent countless hours scouring flea markets and thrift stores in search of the perfect pair of high-rise, slightly wide-leg true-vintage jeans, and I can thus tell you with authority that they’re hard to come by. Here are a few new-old styles I swear by; maybe snag a pair to wear while you continue your search. My boyfriend hates my wide-leg jeans, and that’s only intensified my love for them. This style is super ’90s, from the length to the leg width to the rinse. Did I mention that I really, really like wide-leg jeans? Especially when worn with my go-to Dr. Martens? I’m always on the lookout for a good midi-length dress—the kind you can dress up or down depending on the way you accessorize. Okay, and also midi dresses of the OTT variety… the kind that can really get a party started. I’ll be saving for a while for this one, but I’ll also be wearing it forever. This investment’s a bit easier to swallow, and it’s by fashion editor–beloved London-based brand Rixo. After missing an on-sale similar style, I’m really feeling tempted to add this beauty to cart ASAP. Because I was a fan of Little House on the Prairie well before F/W 18’s biggest trend. This color! In velvet. In my closet. Or bust. I think I’ve hit my max on biker jackets, but that doesn’t mean there aren’t tons of good leather styles catching my eye right now. Also, it takes some serious $$$ to make vegan leather look good, so invest accordingly. This is basically the dream, no? This one’s really making the rounds, and for good reason. Seventies-inspired, obviously, but always in fashion. A classic silhouette in a less-than-expected hue. Jewelry trends certainly come and go, so I see the appeal in testing them out via high-street buys. That being said, when I come across one that really fits with my personal style, I never feel guilty over taking the plunge—jewelry is truly built to last. Personally, I’m always on the lookout for solid basic gold pieces to add to my collection. Of all the pieces in our Tacori collab, this pair of earrings is my favorite. A fun take on the French girl–inspired gold medallion trend. An affordable investment you’ll get loads of compliments on. Another solid pick off the beaten path. Looking for affordable pieces? Next up, see 21 quality picks under $46.